Vovsoft is a small team of young professionals for whom programming is fun. We try to have the necessary knowledge and experience to constantly create competitive software. We create with commitment to the rule that the best recommendation is a satisfied user. Lightweight CD, DVD, Blu-ray burning utility. Verify cryptographic hashes in MD5 and SHA-1. Lights for Num Lock, Caps Lock, Scroll Lock. Memory game you need to match cards. Rename subtitle files according to videos. Sync your clock with a time server. Turn your mobile device into a mouse. At Vovsoft, we are trying to develop small but useful programs. Most of our users meet Vovsoft while searching for something and reach one of our products. However only a few of the people get curious about our other products. Universal License is a special license for these saying "Hey Vovsoft, keep up the good work!". It includes all existing programs, all future programs and all future updates within the terms of End User License Agreement. We initially created the Universal License for internal development purposes, then decided to let it go. Your support enables us to improve our software and continue developing quality products in the future. If you like our software products or want to see new programs and features, please consider getting your Vovsoft Universal License key. Copy one or multiple files to several folders, with or without overwriting existing content, with this lightweight, easy-to-use program. If you often need to copy a large number of files to multiple locations, performing this task the old-fashioned way is both tedious and time-consuming. Copy Files Into Multiple Folders is a handy piece of software that, as its name implies, enables you to copy files to multiple directories in one quick operation. It is very simple-to-use. This application is great for those who only wish to transfer a set of files to multiple directories in an effortless manner. First-time users should not run into any issues, as the programs functions are self-explanatory. Files can be added to the list using drag and drop actions, and you can specify whether or not existing items should be replaced. A processing log is displayed in a separate window after the operation has been launched. It lets you know which files have been copied or skipped. Obtain domain name status information with this effective and intuitive application that allows you to batch process multiple entries. Domain Checker is a simple, but powerful whois lookup tool for users that require a domain availability analyzer. The software supports the most common TLDs, and users are free to add new ones. Anyone interested in releasing new websites will benefit from this utility, as it allows one to check for domain name availability. The ability to batch process multiple entries makes it a worthwhile tool, more-so when several options are being considered for the future site. The application features an efficiency-geared GUI that allows one to quickly generate simple or advanced scans. Domain Checker employs few auxiliary windows, which are accessed either from menu, or from the large topside buttons. Besides manual input of desired items, one can also import information from files. For many people, the desktop is simply the place where shortcuts and icons are located, without any real functionality. 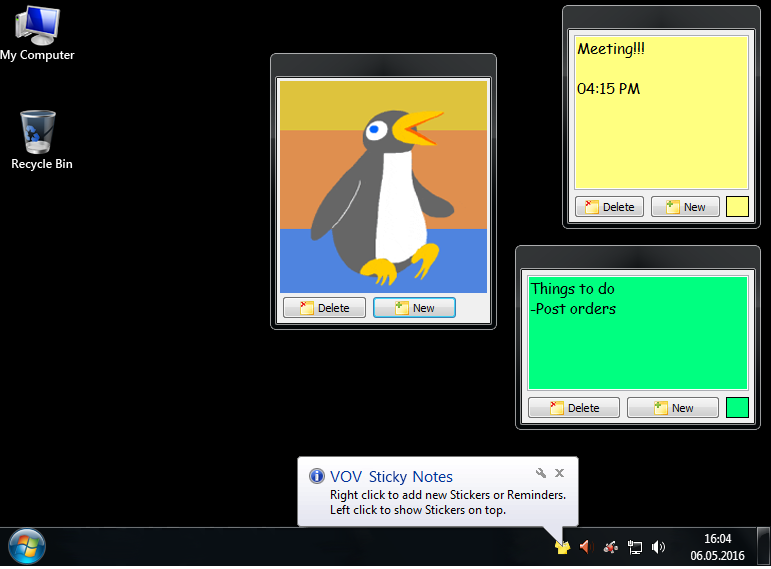 Nonetheless, you can benefit from all the empty space on your desktop by adding post-its, and Vov Sticky Notes is one of the apps that can help you do that. A standalone utility that generates and verifies cryptographic hashes in MD5, SHA-1 and SHA-256. Cryptographic hash functions are commonly used to guard against malicious changes to protected data in a wide variety of software, Internet, and security applications, including digital signatures and other forms of authentication. You can easily convert your image files to PDF with this software. Just add image files (JPEG, TIFF, PNG, GIF, BMP) to the list and click the Create PDF button, this software will directly convert them to a PDF document. You can also drag and drop the image files. Image to PDF is a standalone software, Adobe Acrobat Reader is NOT required. And this software doesn't depend on any print driver so it will NOT install any print driver on your computer. Main Features: Easy to use. Unicode filename support. JPG, JPEG, TIF, TIFF, PNG, GIF, BMP image format support. Drag and drop support. Auto open PDF file after creation. Effortlessly add watermark to images in tiled mode using this tool with support for PNG, JPG, BMP, TIF and other filetypes. 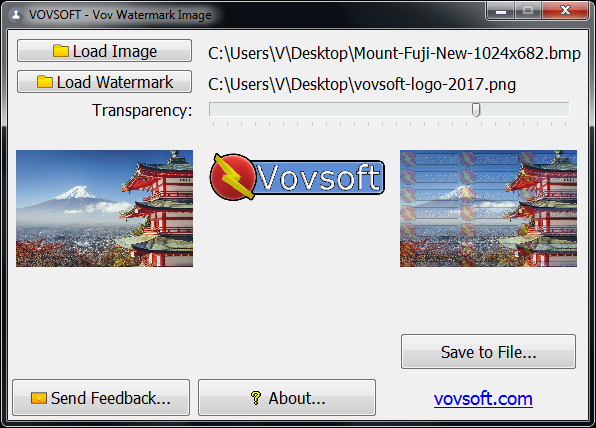 If you're looking for a simple solution for applying watermarks to photos in tiled mode, you can use Vov Watermark Image. Create sitemaps that can be submitted to various search engines and help visitors navigate your website, with this easy-to-use program. Vov Sitemap Generator is a lightweight application designed to help you create a sitemap in a couple of simple steps. Convert your photos into videos with music. Vov Slideshow Creator helps you bringing pictures together to create a video file. You just have to load pictures on its interface with the order of appearance and that is all. Adding background music is also possible. 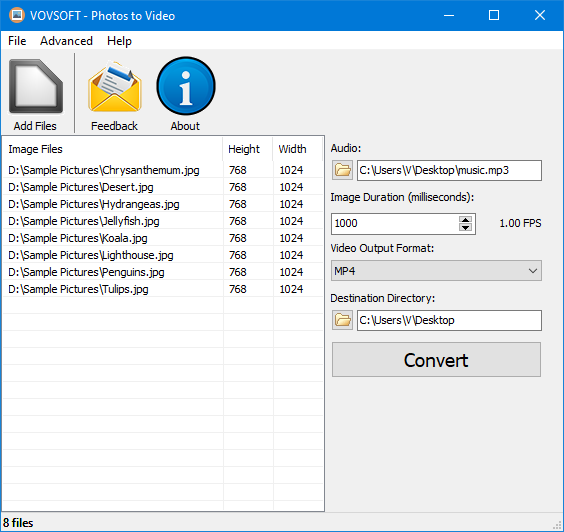 Vov Slideshow Creator supports BMP, JPEG, GIF, PNG, TIFF image file formats for input format and WAV, MP3 audio file formats for background music files. Supported output formats are MP4, MOV, AVI. Vov Http Requester is a simple tool to request POST and GET queries. POST and GET are two basic request methods in HTTP, each with its own role, but both based on the request-response protocol. The list of URLs can be filled in manually or pasted in the dedicated field, while the input names and the corresponding values have a dedicated area as well. Users can manually add new input data, but there is also an option to import it from a CSV file. Right next to it, the 'Export' button makes it possible for users to save the table content as a CSV document. To begin requesting POST or GET queries, users have to just press the 'Start' button. 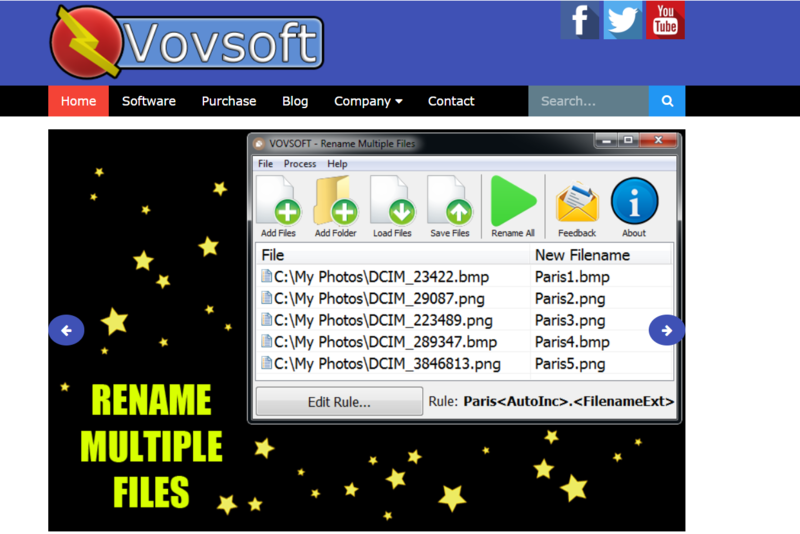 Rename multiple files with just a few clicks. Files come to us from different sources, so their names usually differ in writing. Besides that, the original file names do not contain any important information that can be used for any purpose further, that is why in order to organize filenames to a more comfortable view there arises a necessity to rename files and make them more informative. And this all is possible thanks to batch rename solution. Rename multiple files at the same time by specifying renaming rules with using the original name, extension, custom text, and numbering. To begin a task, you can add as many files as you want to the list. Network Alarmer is a lightweight software created to offer you the ability of verifying the availability of various network devices by checking their IP address and warning you through an email message or a phone call, when something goes off course. Network Alarmer is also able to check the state of the Air Conditioning machines through the user-defined IP, supporting multiple devices at once. You can even set a temperature level past which the application should send you a phone call or an email message. Similarly, you can add various other IP addresses to the PING Device IP List and the utility will verify whether they are online or not, informing you of the result through a timestamped notice in the lower part of the window. Check any website for dead links with the help of this lightweight software utility that enables you to export your reports for further analysis. Nobody likes a broken link. It is a bad experience for your web site visitors. Google recommends checking your site for broken links on a regular basis. Doing it manually would be a nightmare. 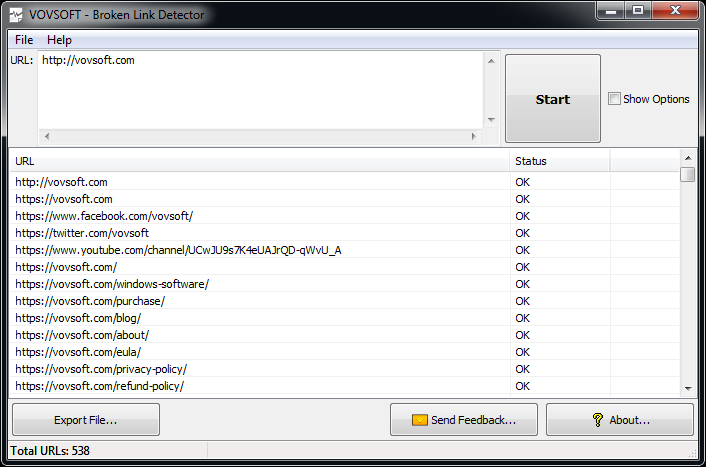 Broken Link Detector runs a comprehensive scan that checks for broken links. Extract audio from video files. Convert your video files to MP3 or WAV audio. 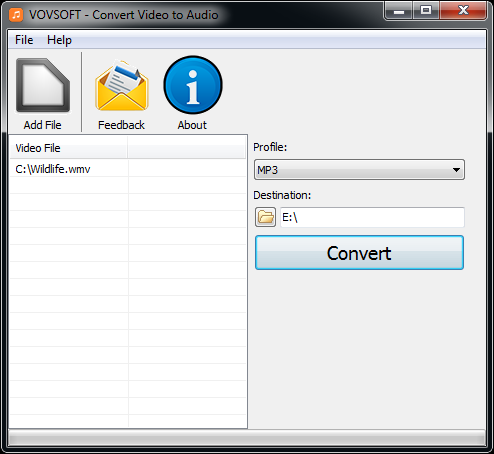 This utility is a very simple way to convert a video file into a mp3 file. All you need to do is to select the file and click on 'Convert' button. Extract audio from video files. Convert your video files to MP3 or WAV audio. 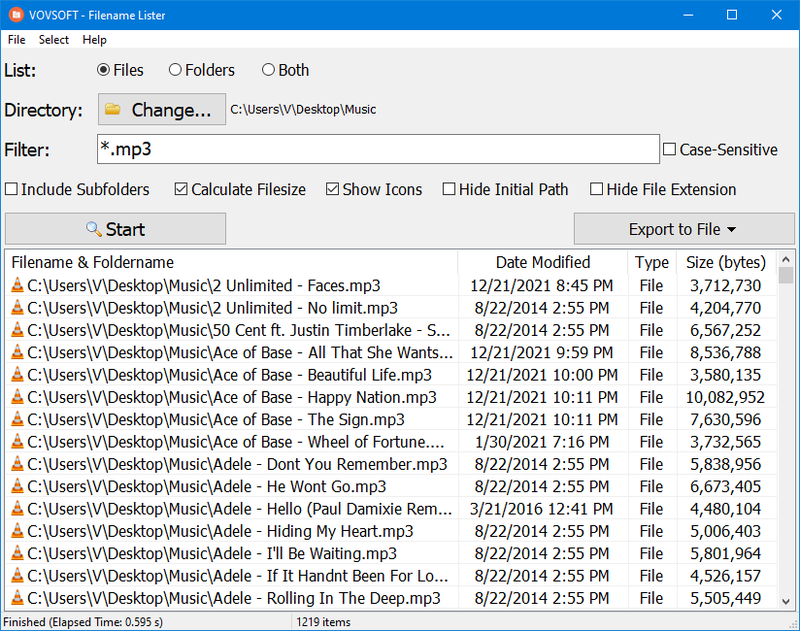 This utility is a very simple way to convert a video file into a mp3 file. All you need to do is to select the file and click on 'Convert' button. 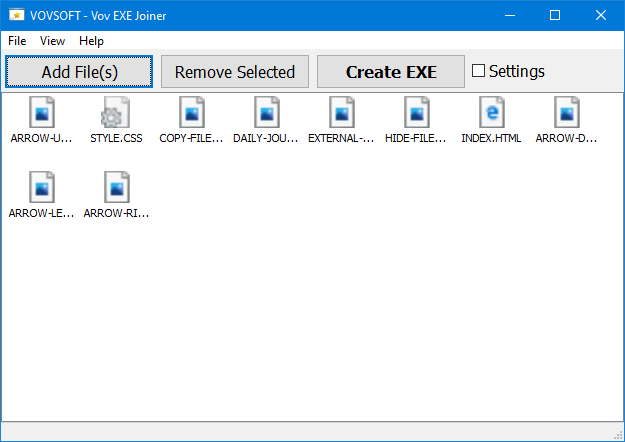 Vov EXE Joiner is a small program that allows to join (bind) files (no matter their type) into one single executable. That executable is a simple compiled program that, when opened, can extract and run the included files. 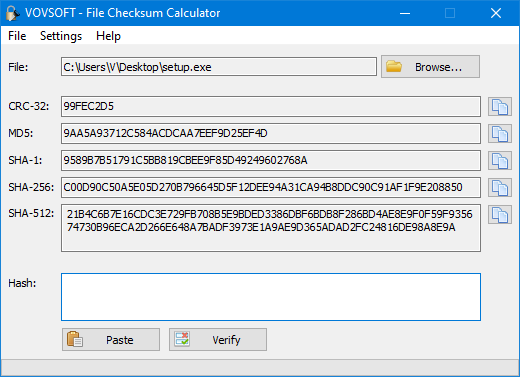 Vov EXE Joiner can join any file type that is needed by the executable for a properly run. Unlimited files can be joined. All types of files can be converted to exe file. 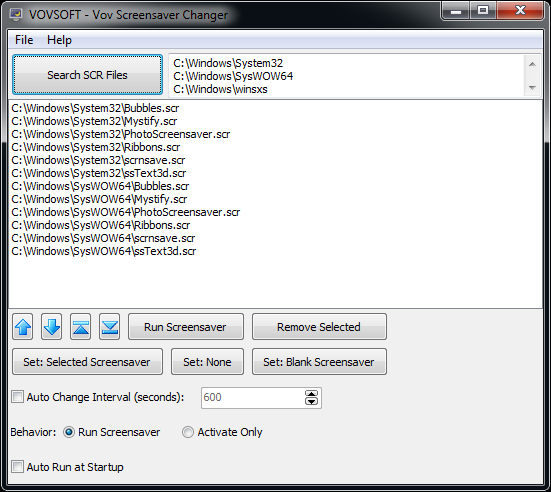 Drag and drop the files into Vov EXE Joiner is supported. Please note that joined exe files can be false detected as virus. This is usual behavior for heuristic anti-virus engines. Please disable and close any anti-virus and anti-malware software before creating and running a joined exe file. Text Edit Plus is a lightweight tool that enables users to easily create new text documents or to modify existing ones. The application is designed as an alternative to Notepad, by offering a wider set of features. Some of the features: Adding date and time. Changeability of background color and font properties. Encode and decode text. Combine lines. Command system for extracting the desired text. Delete empty lines. Delete same lines. Filter lines. Find and Replace. Full screen view. 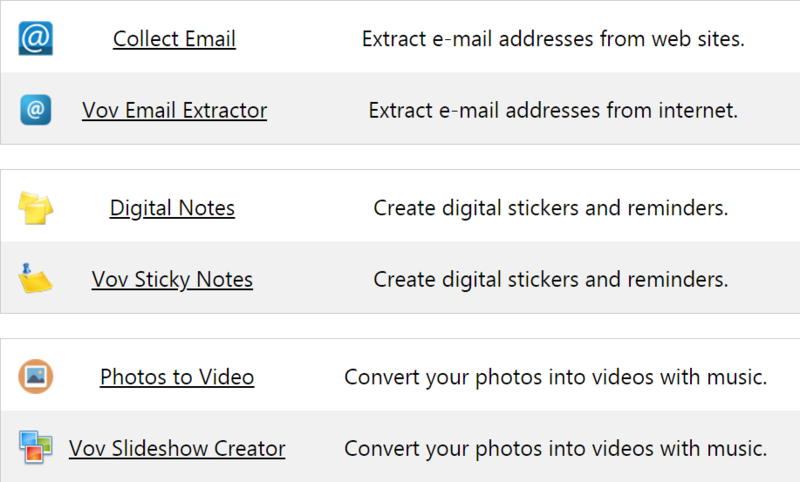 Generate e-mail list. Generate quick stats. Generate word list. Import picture as text (ASCII art). Insert numbers. Insert text into beginning or end of lines. Lowercase and uppercase conversion. Randomize lines. Reverse lines. Sort lines. Trim lines. Most image editors enable you to apply various types of blurring effects to images, but the process is not always as straightforward as many users would like, and editing multiple files can take a lot of time. 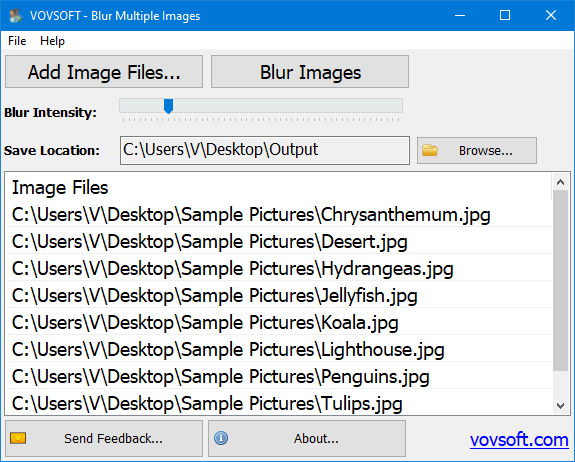 Blur Multiple Images is a very simple application that seeks to offer a more accessible solution. It allows you to apply a blurring effect in just a couple of easy steps. Blur Multiple Images makes the task of importing and blurring pictures as simple as possible. Each winner will have 24 hours to claim license. I haven't used these applications before. So I want to try and use them. Thank you and good luck to all. why I need these apps : Because of it was Universal License & those are very light weight and useful easy to use apps. haven't used most of these applications before. So I want to try and use them.